Guide to Passing through passport control, Customs and biosecurity. A trip to New Zealand is super exciting! However, the thing that most of us dread is passing through Passport Control, Customs and Biosecurity. New Zealand has some strict biosecurity laws making an arrival in New Zealand not as straight forward as arriving in other countries. If you’re arriving in a New Zealand airport from overseas, there are a few processes that you will be required to go through before entering the country. In this guide to arriving in New Zealand, we’ll go over what visa you need to prepare, what to avoid bringing into New Zealand, as well as the process of the Passenger Arrival Card and passing through Passport Control and Biosecurity. The first part of making your arrival in New Zealand as smooth as possible is by getting the right visa for your intentions in New Zealand. Just visiting New Zealand on a holiday? Then you’ll probably need a Visitor Visa. Are you under 30 years old and looking to do some working and travelling in New Zealand? Then the working holiday visa would be your best bet. Or are you enrolled at a New Zealand university? You’ll then need the appropriate Student Visa… And so on. Which Visa Do You Need? Visitor Visa: Do You Need a Visa to Visit New Zealand? Which Visa Do You Need to Study in New Zealand? Visas for New Zealand have conditions that, if broken, will make your visa invalid. 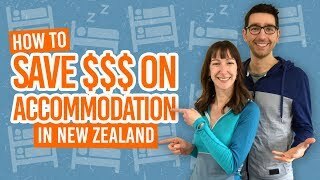 The most common condition is your length of stay, but there may also be conditions on having enough money to support yourself while you’re in New Zealand, a travel ticket departing New Zealand, or even travel insurance. These conditions are outlined for each visa on the Immigration New Zealand website. Take note of them and prepare the evidence needed (bank statements, travel insurance policy, etc). to show at the Passport Control desk just in case you are asked for them. If you pack right for New Zealand, then you won’t have to do any last minute scrambling to clean your hiking shoes at the airport or risk getting something you’ve packed sent for biosecurity treatment. What you bring (or don’t bring) with you into New Zealand is extremely important due to the strict biosecurity rules. While there are some items that are prohibited from being brought into New Zealand, there are other items that must be declared so that customs officers can inspect them and decide whether they are safe to be in New Zealand. We’ll talk about how to declare items in the section below. For now, here is what you can’t pack in your luggage to New Zealand. Certain types of food – including fresh fruit and vegetables, fresh meat or fish, honey and bee products. A full list of prohibited items can be found on the New Zealand Customs website. Other items you might want to bring to New Zealand could be considered as “risk items” by New Zealand Customs. This doesn’t mean that they will automatically confiscate these items from you, but you must declare them for the Customs officers to inspect the item or ask questions about them. Some of those risk items that you are likely to pack for a trip to New Zealand are “Equipment used with animals, plants or water” and “Items that have been used for outdoor or farming activities”. These items must be clean in order for you to bring them into New Zealand, so clean up these items before you pack them. You’ve packed your bag like a boss, avoiding any prohibited items, and are ready to declare any restricted items. You have a visa for New Zealand and your passport and you’re on your flight to New Zealand. During your flight, you will be given a Passenger Arrival Card for New Zealand. This is a legal document which you must complete and hand to Customs once you arrive in a New Zealand airport. The Passenger Arrival Card is the first case where you will declare any risk items. You will also have to fill out some personal details, your intentions in New Zealand, list any other countries you have recently been to, circle what type of visa you have, as well as some quick character questions. Get familiar with the document by taking a look at a copy of the Passenger Arrival Card. As you will see, the document is mostly easy “yes” or “no” questions. Wahoo! You’ve landed in New Zealand! Once you have exited the plane, the next process is to go through Passport Control in the form of an Immigration Officer or by using the eGate. The eGate is the fastest way to pass through New Zealand Passport Control. You can use the eGate if you have an e-passport from one of the following countries. Otherwise, you will have to do it the old-fashioned way and see an Immigration Officer. If you have any issues at the eGate, you will need to see an Immigration Officer. If you are passing Passport Control via an Immigration Officer the Immigration Officer will inspect your passport, visa and your Passenger Arrival Card. They will also ask you if you have anything to declare. You must tell them if you have any risk items in any of your luggage – basically, anything that was listed on the Passenger Arrival Card that you answered “Yes” to. Failing to declare an item or falsely declaring something may incur an instant NZ$400 fine. If you are unsure whether to declare something, there is no harm in declaring it anyway. See the section below and/or What Do You Need to Declare When Arriving in New Zealand? to see a list of items that you need to declare. On top of questions about what you are bringing into New Zealand, the Immigration Officer may ask some more questions concerning your visa or your intentions in New Zealand. This is not always the case, but it’s best to be prepared. Basically say what your visa is: working holiday, visitor, etc. Do you have a return ticket or sufficient funds for a return ticket? Show the appropriate evidence, such as a hard copy of a recent bank statement or outward travel ticket. Do you have sufficient funds required of your visa? Show the appropriate evidence, such as a hard copy of a recent bank statement. Do you have any contacts in the country? Give contact details if you know anyone in the country. If you don’t have a contact, no worries. Where are you going to be staying for the first few days? Have the address of your first accommodation on hand. Where was your last destination? State your home country or the last country you visited, if you are not coming straight from home. Have you visited New Zealand before? Do you have any food with you? If you do, give details to the Immigration Officer. How much cash do you have on you today? If you have NZ$10,000+ or the foreign equivalent, then you’ll have to go through a Border Cash Report. At New Zealand Passport Control, the Immigration Officer may write a couple of notes on your Passenger Arrival Card before returning it to you. You will need your Passenger Arrival Card for passing through Customs & Biosecurity. The Immigration Officer will also put an entry stamp into your passport and a visa stamp if applicable (for instance, the Visitor Visa). Then you will be free to pass through to the Baggage Claim area. Then take a look at Arrival Advice: Passport Control and Immigration for more details on this process. After you have picked up your luggage from the Baggage Claim area, you will need to pass through New Zealand Customs. Again, you will be asked if you have anything to declare. Go through the same procedure mentioned above. If you’re unsure about anything, then declare it anyway. Animals or animal products – including food, souvenirs with animal products on, raw wool, etc. Plants or plant products – including nuts, seeds, medicinal products, etc. Other biosecurity risk items – including animal medicines, biological cultures, organisms, soil or water. More than NZ$700 worth of goods – not including your clothes, toiletries, etc. More information can be found on this in What Do You Need to Declare When Arriving in New Zealand? What happens if you have any risk items? A Quarantine Officer will inspect the item. If they decide the item poses no risk, you may bring it into the country. Alternatively, the item may be taken for treatment at a private treatment company. You will be able to collect your treated items at a later date. If the Quarantine Officer decides that the item does pose a risk, then it will be confiscated and destroyed. Once you have talked to a Customs or Quarantine Officer, you will put your luggage through an X-ray. There will also be detector dogs “sniffing” out any undeclared items. If a risk item is found in your luggage which you did not declare, you will be given an instant NZ$400 fine and that item will be confiscated. Then take a look at Arrival Advice: Biosecurity and Customs in New Zealand for more details on this process. 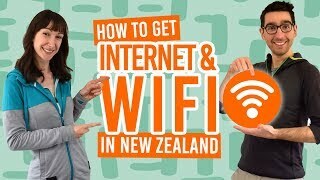 What is the Best Way to Get Around New Zealand? What is Your New Zealand Tax Code?